While this is a great idea, it is just way too vague to follow through with. Life changes happen and you can’t always be happy or remain positive every second of the day. You can, however, stick with certain things that help you become positive. Instead, aim to write in a gratitude journal every evening or wear a bracelet that you will lightly snap whenever a negative thought comes to your head. Again, this is very vague and actually puts part of your goal into the hands of others. One thing you can control and work on in the New Year is forgiveness. Aim to forgive those who have wronged you. It will not only help your relationships with others but make you feel better in the process. Make a list of the people you feel you need to forgive and why. This is kind of a wish and not really something you can go out and do. You can’t control your fate, but you can put your hopes out in the world to hopefully attract a mate much faster. Instead, make it a goal to sign up for an online dating site or ask a friend to set you up with someone. Instead, make concrete plans or goals. Aim to save a certain amount of money by a certain date. Start planning your dream vacation and take tiny steps to get there. If you simply have the goal to travel more without any ideas or goals, you will only likely come up with excuses why you can’t go. Just like falling in love, when you conceive isn’t always up to you. This isn’t the thing to make your New Year’s resolution. This is probably the most popular New Year’s resolution, but it also could be the worst and the one most likely to make you feel depressed. There are so many factors to your weight. Instead, aim to eat one more vegetable per day or exercise three times per week. Make healthy goals that can ultimately lead to weight loss, but will keep the number on your scale farther away from your mind. Many shy people would love to be the life of the party but have a hard time with social outings. Don’t resolve to change your personality, aim to be more forgiving of yourself and find your unique strengths. Look for new activities that you will love and will let your introverted personality shine. 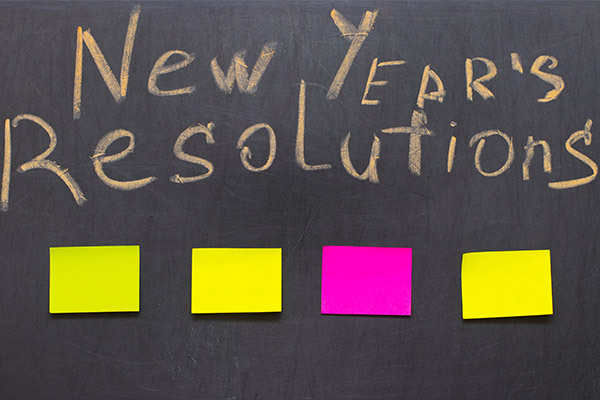 What New Year’s resolutions do you normally make? Did you realize some of these resolutions are not that great? If you enjoyed this article, please SHARE with your friends and family who could use some inspiration!